Home Marriage Advice The Seven Steps to Plan a Perfect Marriage Proposal. 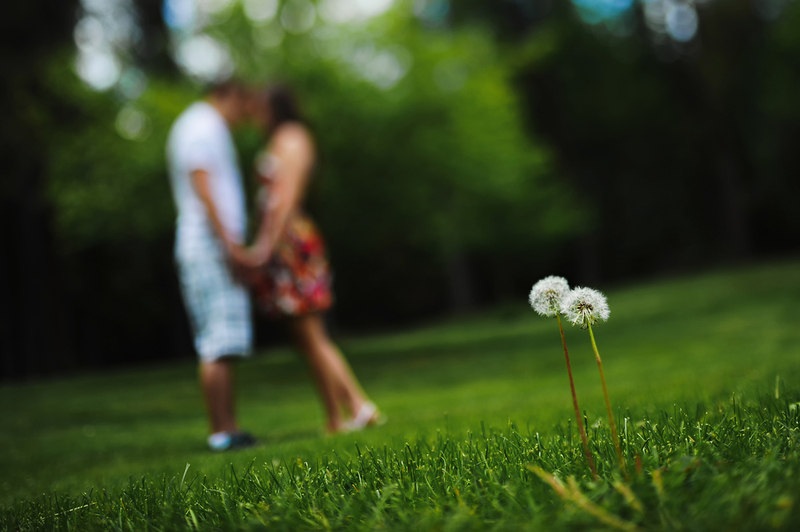 Once you have the one you love follow these steps to happily ever after. First congratulations on finding your future wife! Knowing you found the woman you want to marry is one of the most exciting (and most terrifying) moments in a man's life. There is one thing that unifies all men when they are planning a proposal; they want to make their soon-to-be fiancée happy. You want this to proposal to be perfect. She will always look back on this marriage proposal as one of the happiest moments of her life. So let's get started. Step 6 How to ask someone to marry you? What do I say during a marriage proposal? You have made up your mind you are going to propose to your partner. Where do you start? I recommend first picking the date that you plan on asking her to marry you. Don't worry - if you can't decide on an exact date, start with the month you want to propose and narrow it down overtime. If you are anything like me you may be a procrastinator so picking a date gives you a deadline to get things done. Allow yourself enough time to get a ring. It takes up to 4 weeks to get a ring made after you purchase it. You may have to save some money for the ring. Give yourself enough time to save. Buying your future fiancée's engagement ring can seem like an overwhelming task. Start with figuring out what type of engagement ring she likes. See steps A to F.
When buying an engagement ring you will hear about "The Four C's," Can I afford it, Crap that's expensive, Cold feet, Can I get some help....! Just kidding. The Four C's really stand for Color, Clarity, Cut and Carat. Then you can research what that looks like.• The easiest solution is she has already dropped hints as to what she likes. Many girls do this so keep your ears and eyes open. Another way to determine what style of ring she likes is by asking her opinion on someone else's ring. Most women will tell you what they think about it and what they would prefer. The perfect opportunity to ask this is when a friend of hers gets engaged. Ask her, "So did she like the ring?" She will tell you what her friend thought - and what she also thinks of it. Friends and family can also be a good source of info, but make sure they are not gossipers, or you asking might get back to her. Yes gentlemen, rings come in different sizes. Be re-assured - if you don't get the size right you can get the ring resized, but it is much easier to make the ring smaller than bigger. If you are not able to figure out her ring size estimate larger than smaller. You will hear things like you should spend 3 months salary on a ring. The amount of money you spend really has to fit your budget and what your girl likes. To start do your research online to get an idea of ring styles, brands and costs. When you have more of an idea of what you want, find a reputable jeweler. Go there and start shopping to determine what your money will buy. Remember, name brand engagement rings cost much more then generic ones. If you are buying a plain solitaire band without any design for a solitaire the only difference between a name brand and the less expensive generic no-name brand...is just the brand. I did buy a name brand - not because my wife wanted the name but because she liked vintage - style rings. The brand Tacori is known for their vintage looks, so her style is what led me to buy Tacori. Buying an Engagement Ring: The Four C's: Color, Clarity, Cut and Carat. As I am not a jeweler ... I'll just give you enough so when you do talk to a professional you know what the hell they are referring to. To read about the four C’s, you can read more on my website here. Now, every man has to pick the engagement ring himself. I recommend listening to your jeweler but also listening to your gut on what your fiancée will like. I picked towards the higher end of quality in color, clarity, and cut - not perfect or flawless, but very good - and then the largest carat weight my budget allowed. Just as an FYI as you plan your budget many jewelers offer a period of financing with 0% interest. I am not encouraging you to go into debt to buy a ring more expensive than you can actually afford. However, this is an option for those who have good credit and may want to spread out their payments instead of paying all at once. This is something I encourage you doing right away. You never know what can happen. For my proposal, I was traveling with my ring overseas so this was something I made sure I got before I left. It gave me a little peace of mind even though I was already a nervous wreck. At least if I lost the ring I didn't lose out on replacing it. Your jeweler can recommend insurance or you can do your own research. 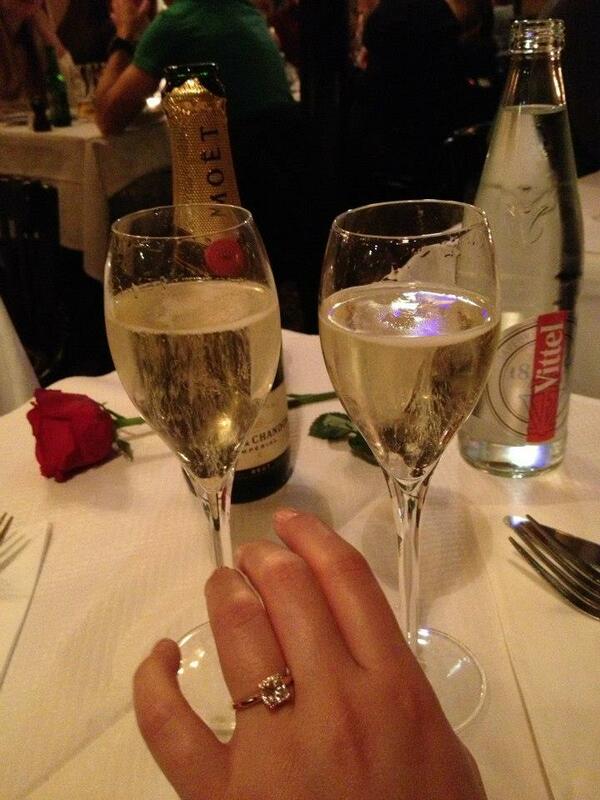 As with any insurance, how much you pay is relative to how expensive your ring is. 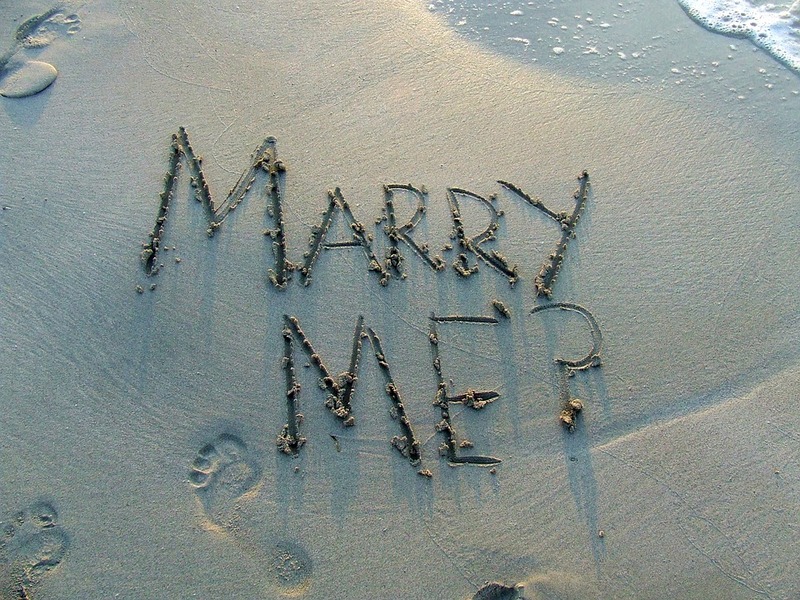 The marriage proposal location is a critically important aspect of a perfect proposal. Let's find your location! Proposal Location ideas may be the first thing that you ponder when planning a marriage proposal. The setting for your proposal can shape your proposal idea and how you ask your partner to marry you. Picking the proposal location is the next step on your journey towards the perfect marriage proposal. The location should be a place that your future fiancée will find special. For many that may be a location that has meant something to them in their relationship. For others this may be a destination that you will be visiting. As long as you find the best place to pop the question for you and your fiancée, that's all that matters. Proposal location ideas you explore should fit the type of proposal you want, and you know your partner will love. I have created four categories of proposal location ideas that help guide you towards picking a location that fits the style of proposal you want. Secluded: This category of marriage proposal is in a location that will just be the two of you. This can be a secluded beach, mountain top, or even your apartment covered in flowers and candles. Public but Intimate: This is the proposal category that would involve a public place but still be just the two of you in that moment. Example of this would be the Eiffel Tower or top Empire State Building or even a nice restaurant with a great view. While intimate you may receive a cheer from strangers also visiting the same location. This is the category I chose. Grand Public Gesture: You want a location that everyone can see, such as on stage at a concert or writing "Will you marry me?" in the sky with a plane. With this choice make sure your partner is OK with being the center of attention. Involving Friends or Family: Some will choose to bring her friends or family to the occasion. The location should obviously involve enough space to comfortably fit everyone. I would also suggest planning for people being late.﻿ ﻿(If they are anything like my wife's friends, they will be there an hour after you tell them. So plan a buffer time! Unique proposal ideas that will inspire you to create your perfect marriage proposal. There are an endless number of proposal ideas. Your proposal idea should fit your proposal location. Your proposal idea should also fit your partner’s personality. Click here for a list of unique marriage proposal ideas. Asking your girlfriend's father for his daughter's hand in marriage is an old school practice that dates back to the days when there was no choice in the matter. You had to ask to get his blessing or there would be no marriage. Times have changed though, so while not asking him won't technically stop you from marrying your future wife, I do recommend that you do it. I completely get that this might be a tough situation for some men. As I am now a father of a little girl....I can already see myself not liking her future boyfriends and she isn't even a two years old yet. But that is life and I am sure eventually I will come around. As a father, I would respect the man who will eventually marry her so much more if he has the balls to ask me. The main reason I recommend you do it is because this is her father. The first man that has been in her life, much longer then you have. You will be part of his family and he will be part of yours in the near future. In my experience families get a long better when the members respect each other. So asking him may go a long way in him accepting you and thus giving you the respect you deserve. Also this is 2016, so asking her mother or other influential family members may also be a good idea if she comes from a less conservative. you know your relationship with her father much more than I do. If you think it will actually hurt your chances of marrying his daughter more by asking him, then go with what you think is right. I would never want you to do something that would prevent you from your proposal. Know your situation and act accordingly. If you decide not to ask, it does not mean that you don't have balls...it just means you know your father-in-law. I knew that asking her father wouldn't make a difference on whether my wife would say yes, but I knew that I wasn't just marrying her-- I was joining a new family. I wanted to put my best foot forward and step into my new family with mutual respect. So you have the proposal date, you bought the engagement ring, and you know your proposal location. Now what do you actually say when you get down on one knee? Let's learn how to propose. This statement needs to be personal come from the heart and most importantly in some way ask, "Will you marry me?" I kept it short and to the point. I didn't want to memorize some long statement that I knew in that moment might make me fumble over my words. I said her full name for some reason including her middle name made it seem official to me - then followed by, "You are my best friend and the love of my life. Will you marry me?" Luckily, she said yes. Am I ready for my marriage proposal? The answer is yes! You have learned all the steps to the perfect marriage proposal. You have the engagement ring, you picked the proposal location, and you are on your way to ask the big question. You are ready. Don't get cold feet. If you love her and know in your heart this is the right decision, just do it! Previous articleHerSmile Review – A New Way Of Dating?